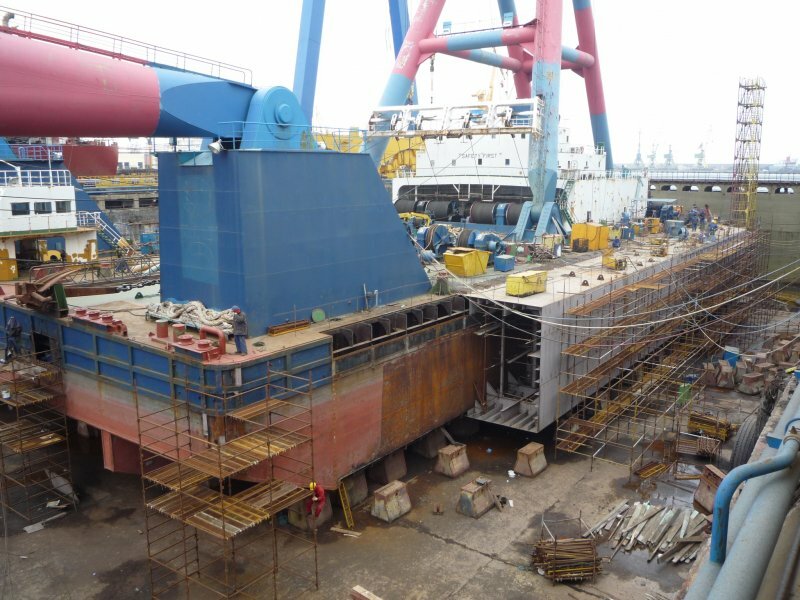 Beginning 2010 the big floating crane “GSP Neptun” came for major up-grading and repairs. 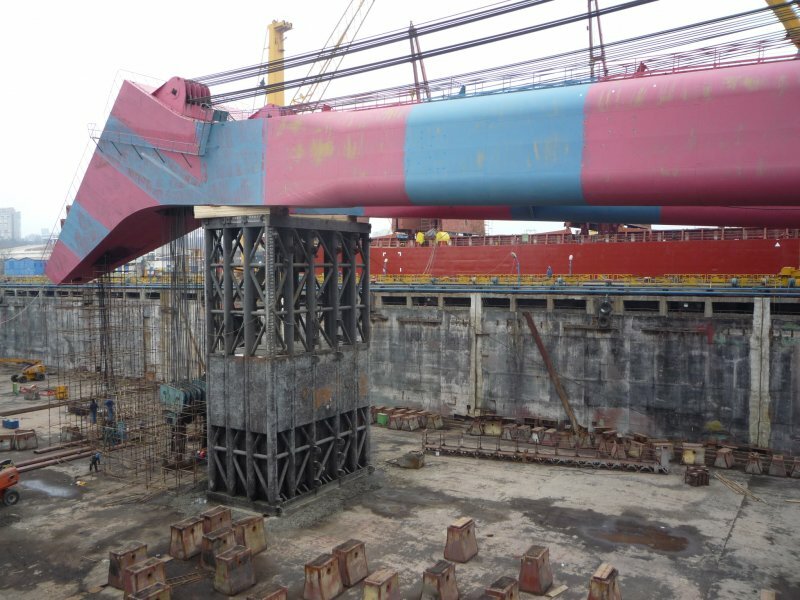 Due to her large size (85 x 36 meters) she was dry-docked inside the new building dock with the boom resting on a special support, made with this purpose only. 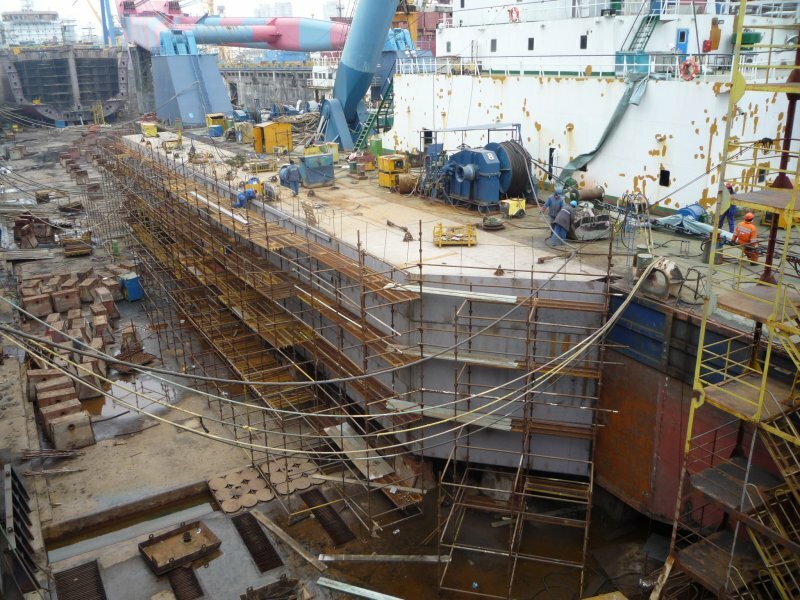 The main job was the manufacturing and mounting of side ballast tanks, including all necessary systems, while normal docking works and boom general overhauling were also carried–out. The project ended successfully after about 2 months, upon significant design works and Class approvals.